The Federation Arts and Craft style had its origins in England, where architects were reacting to the impersonal nature of the Industrial Revolution. Crafts and handiwork were emphasised to give architecture the “human touch”. 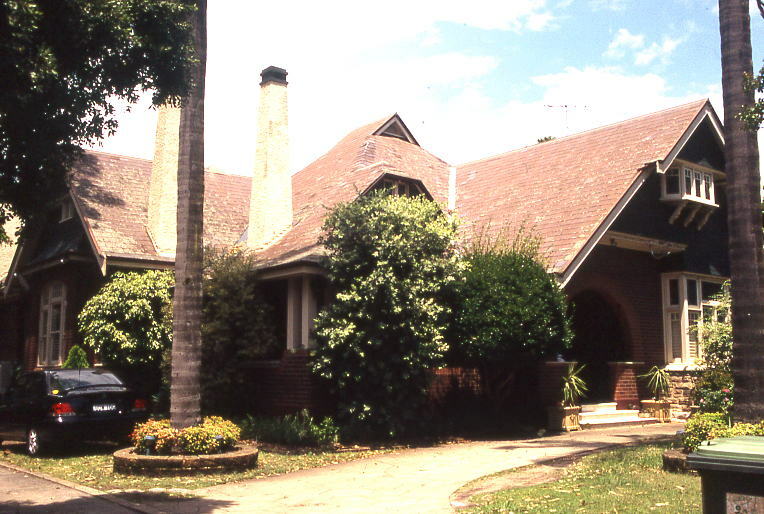 Australian Federation Arts and Crafts buildings were generally small-scale to medium-scale and predominantly residential. As its name implies this (Arts and Craft) style was concerned with the integration of art into everyday life through the medium of craftsmanship. There is a strong flavour of morality, with stress on the truthful use of materials and the honest expression of function. 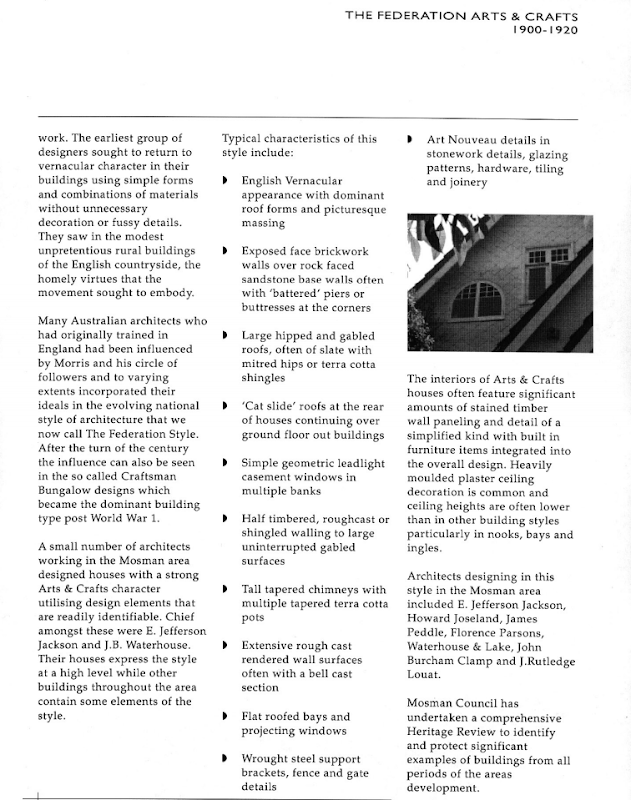 Arts and Crafts buildings are unpretentious and informal, evoking an atmosphere of comfortable familiarity. In nineteenth-century England… William Morris, (was the) father of the Arts and Crafts movement. Dismayed by the effects of the Industrial Revolution and inspired by Ruskin, Morris tried to put art into a broadly based social context through the reestablishment of handicraft methods reminiscent of a rural, pre-industrial age. The movement was born when British designers and architects reacted vehemently against the mass produced factory goods, in a mishmash of revived styles, shown at the 1851 Great Exhibition in London. The result was a return to honest craftsmanship, meaningful design and a purity of line and form. Simple and practical oak furniture, brass, pewter, silver and copper metalwork with motifs inspired by nature, hand-blown glass and hand-thrown ceramics are the hallmarks of the time. These are pieces with soul, imbued with the individual aesthetic tastes and philosophical ideals of both the artists and the craftsmen. Arts and Crafts furniture and home accessories are some of the best value items of progressive design available. 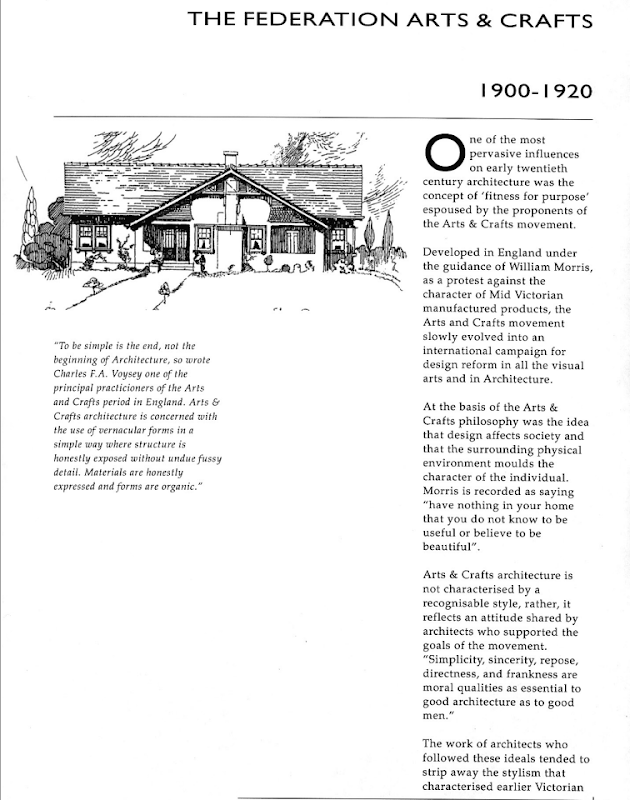 C. F. A. Voysey and Philip Webb were important Arts and Crafts architects in England. 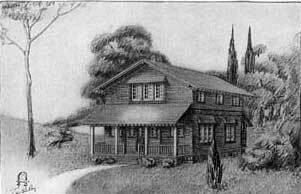 In the United States, Gustav Stickleypromoted the ‘Craftsman’ image in architecture, interior design and furniture. 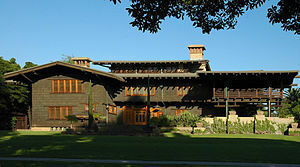 Chicago architect Frank Lloyd Wright started out with Arts and Crafts designs, particularly for his own house. 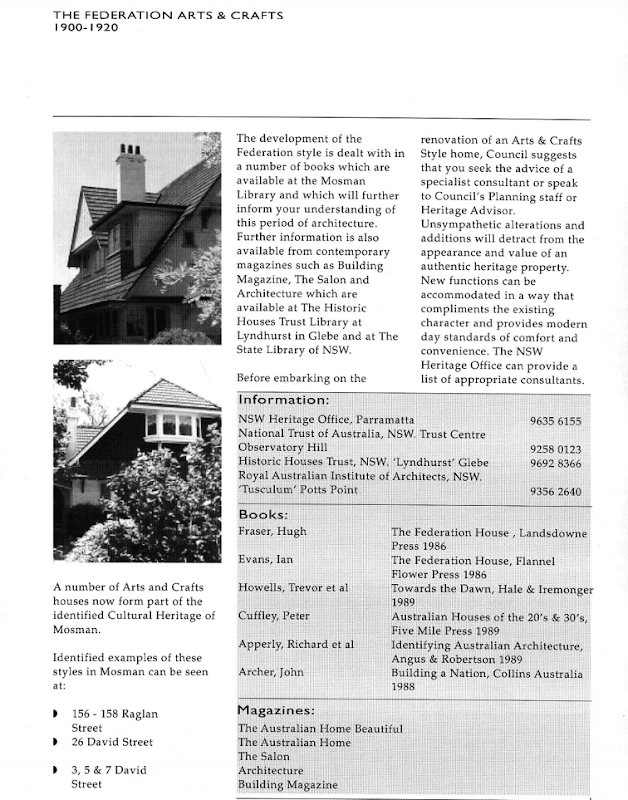 In Victoria the important Arts and Crafts Architects were Victorians Walter Butler, Harold Desbrowe-Annear, and Guyon Purchas. Later architects were Rodney Alsop, WAM Blackett and Phillip Hudson. 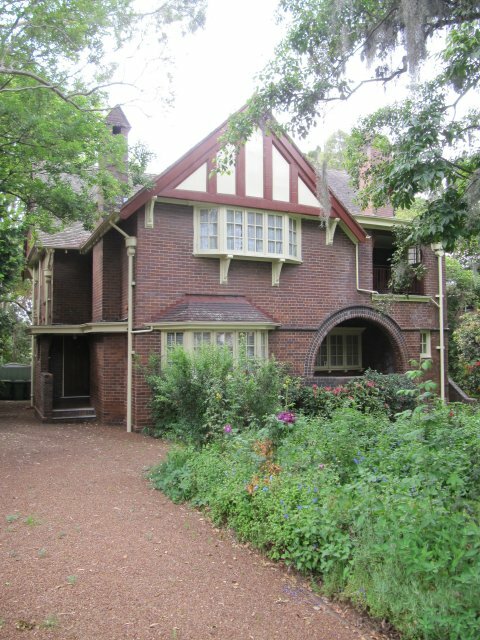 In Sydney a different Arts and Crafts style was developed by Horbury Hunt,and George Sydney Jones. Later archtiects were Edward Jeaffreson Jackson, FG Castleden and BJ Waterhouse. Robin Dodds was the key figure in Queensland before he moved to Sydney. – from Pioneers of Modernism by Harriet Edquist. 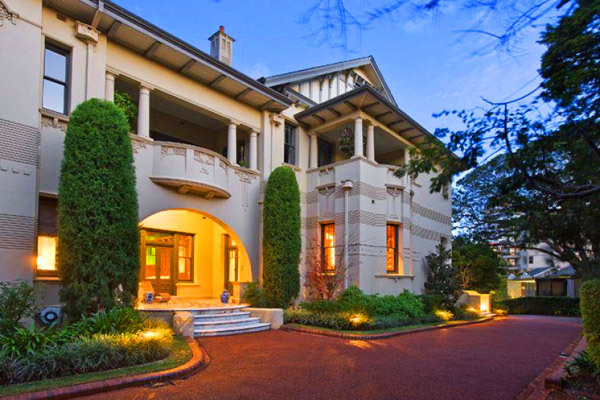 Glyn was designed by architect Rodney Alsop in 1908 for the wealthy financier, pastoralist and politician Sir Edward Miller (1848-1932). The house was constructed in the Arts and Crafts idiom, with reinforced concrete walls, finished with a distinctive render with white quartz pebbles pushed into the surface, resting on a deep brick plinth. This render finish has subsequently been painted over. It was complemented by gables and steeply sloping roof slopes with all surfaces clad in terracotta shingles. The interior contains many distinctive features, particularly timber panelling, carved woodwork, stained glass and beaten metal ornamentation. The building was positioned at the top of a hill on a succession of terraces and towered above the extensive grounds as they sloped down to a gully on the south east side. Glyn exhibits all the classic aspects of the Arts & Crafts movement emphasising picturesque massing, references to vernacular architecture and the exposure of building materials and textures. 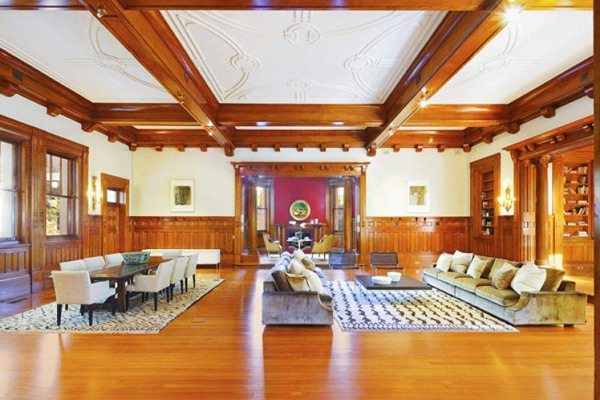 The original fireplaces, light fittings, switch plates and joinery were rare examples of English Arts and Crafts influence in Australia, although some of these features have since been lost. Each room has a different decorative treatment. An interesting Australian touch is the eucalypt decorative scheme in the main hall, stair hall, entrance hall and upstairs gallery. Glyn is also important early example of reinforced concrete being used in residential construction. 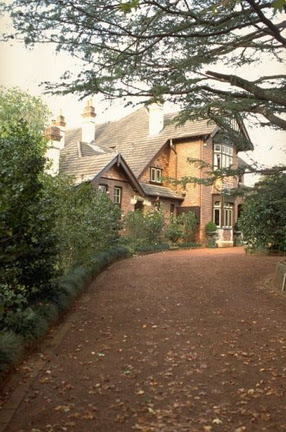 The Crossways is a fine example of the international design ‘Arts and Crafts Movement style’ , a house of historical significance that was designed by Waterhouse and Lake and built in 1908. 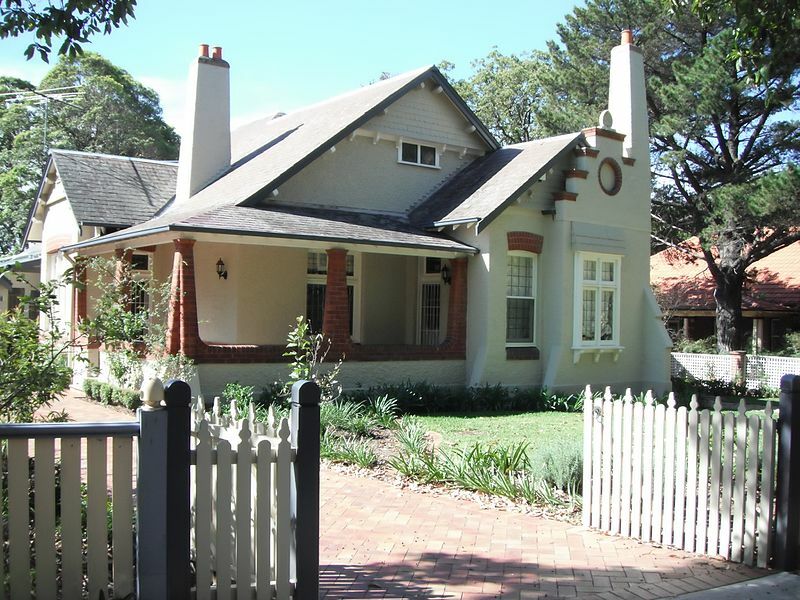 The Crossways was built as part of the subdivision of 1904 that created the suburb, and was the home of physician/surgeon Dr Craig Gordon. 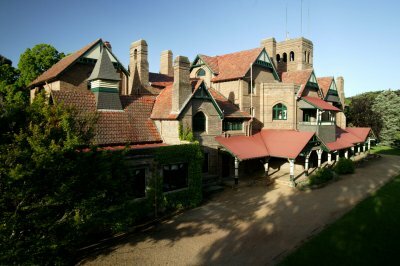 It is one of the finest examples of the Federation Arts & Crafts style in Australia, and one of the finest works of architect B.J. Waterhouse of Waterhouse & Lake. It includes recognisable Arts and Crafts elements such as the roughcast walls and irregular windows, but its style is broad and there is even a castellated section of wall at the side. The floors in the drawing room, dining room, entrance hall and library are antique parquet taken from a French chateau. The fireplaces are made of Sienna marble. The drapes, curtain and carpets are French and English imports, and the La Cornue gas stove in the kitchen is the only one ever brought to Australia from France for residential use. 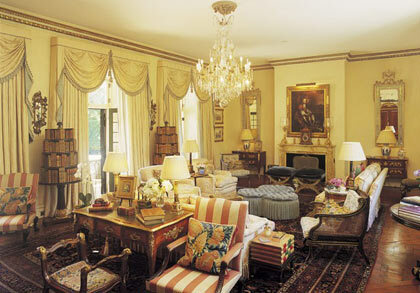 The chandeliers are from a home in England, and the bathrooms are clad in marble. The private, half-acre property has a secret garden and a swimming pool shielded with high hedges. Erica, 21 the Appian Way, is the most unusual house in the estate. 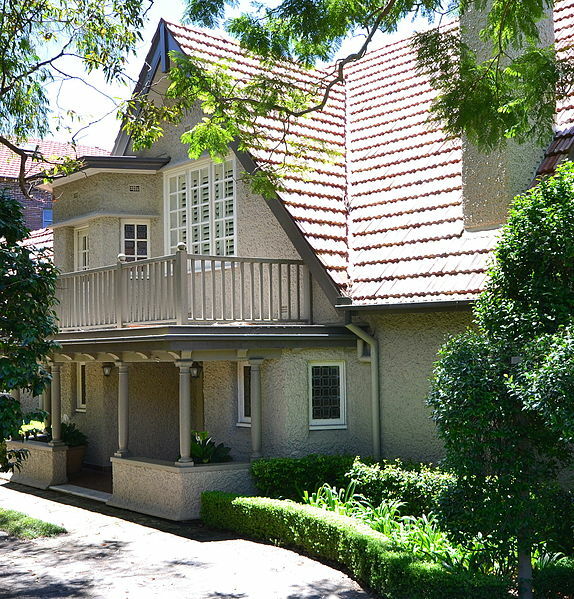 Also known as the Hoskins Estate, Appian Way was a model housing estate conceived by a wealthy industrialist, George J. Hoskins on 8 hectares of land that he purchased at the start of the 20th century. 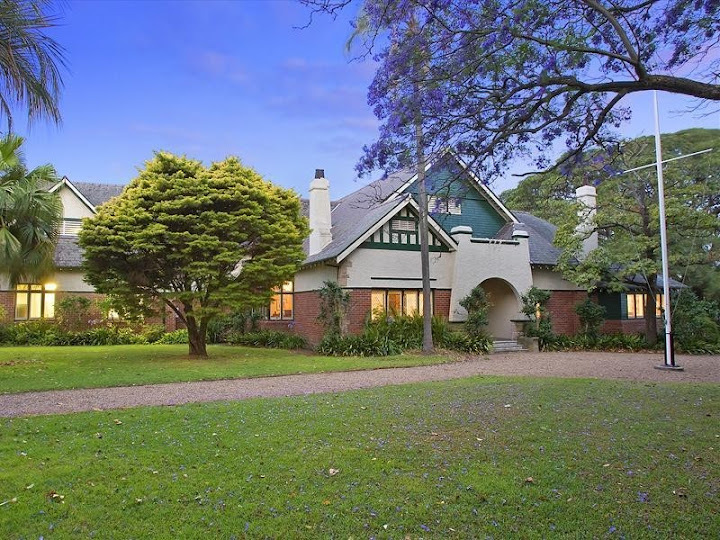 Built between 1903 and 1911, the estate of 36 Federation houses was created with his designer and builder William Richards to present an appropriate setting opposite the Hoskins St Cloud mansion on Burwood Road. 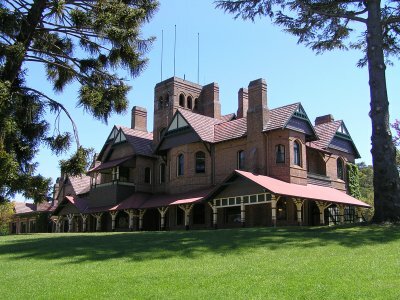 Booloominbah is of State heritage significance as one of the largest private country houses built in Australia during the 19th century and amongst the most avant-garde domestic Arts and Crafts style designs of the time. 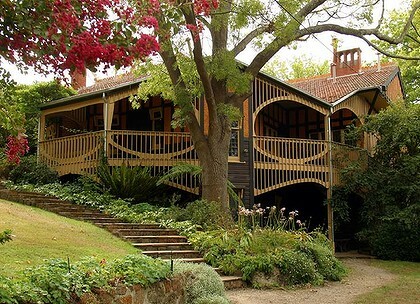 Designed as an interpretation of an English country house, Booloominbah sits in a relatively intact landscape. As such, it is exemplary of the work of architect John Horbury Hunt. As well as being large, it is also extravagant in decoration, in particular the use of stained glass. The fabric substantially demonstrates the wealth and influence of pastoralism in NSW in late 19th century. 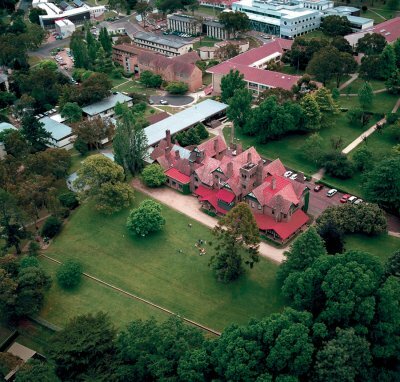 Its gift by Thomas R. Forster was the catalyst for the establishment of the New England University College, the first in Australia to be located outside of a capital city. Booloominbah sits in a landscape of an English country estate, including two drives, a gate and inner gate, a dam and a deer park below to its south. The main drive is flanked by a double avenue of English elm trees (Ulmus procera). The location of the second drive is marked by a section of remnant hedge. The deer park and house are surrounded by a collation of mature trees including ‘English’ (European) elm (Ulmus procera), poplars (Populus spp.) and many more. Booloominbah is surrounded by three distinct gardens: the north, south and east. The northern garden is boarded by a hedge and is predominantly a lawn area. The garden is intersected by 1990s path. The gardens to the south and east are lawns interspersed with mature trees, including (to the south) a Bunya pine (Araucaria bidwillii), Atlas cedar (Cedrus atlantica) and Chir/Himalayan pine (Pinus roxburghii). 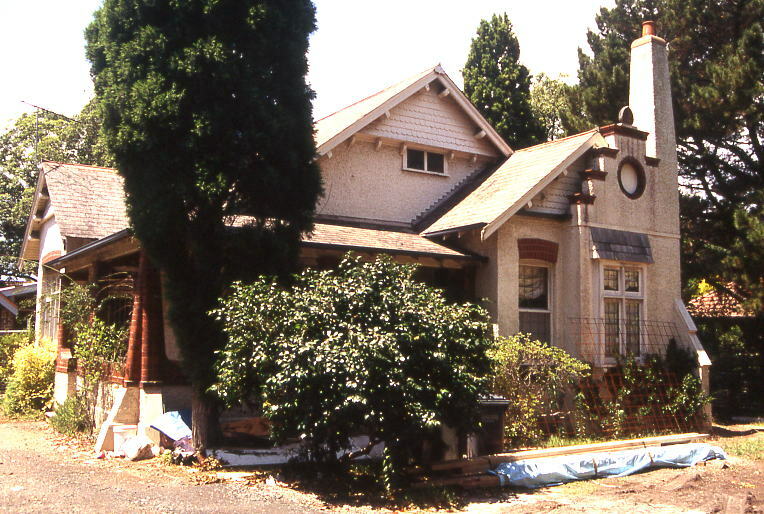 A 1992 report indicates there was a rose garden located to the south of the house. 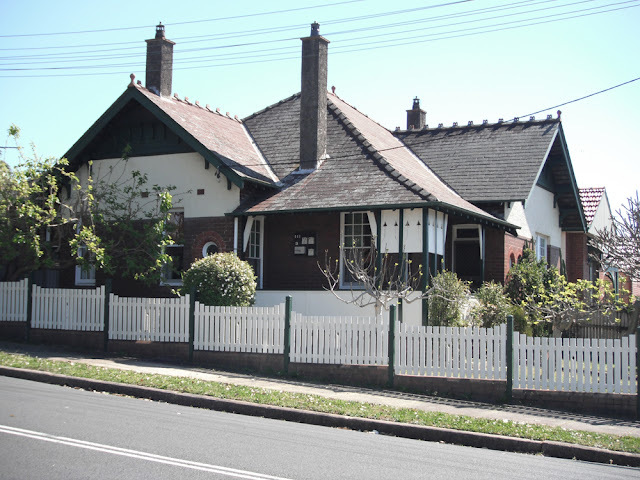 In Australia, Federation Arts and Crafts Buildings are domestic in scale and make free use of traditional (usually English) motifs to achieve an unassuming, homely, well-established character. Designers aimed for informality in planning, massing, windows and landscaping. The roof is a dominant element, featuring gables (with barges or parapets) and/or hips of medium to steep pitch and prominent eaves. Usually rafter ends are exposed, or the rafters themselves are visible under the eaves. Tall, tapering chimneys, battered wall- buttresses and bay windows are characteristic elements of the style. Roof-top attic or ‘spy’ windows are massed together in twos or threes or sometimes even more. Roughcast stucco (more rarely pebbledash) was commonly used as an exterior wall finish, together with other materials having earthy, ‘natural’ colours and textures. I have heard of coal being mixed with cement to form roughcast! Interiors frequently display timber panelling and sturdy ceiling beams. One of the key design and architecture styles of the 19th and early 20th centuries. Stickley Craftsman House: Shingled House Exterior view from the front.